Swami Vivekananda’s letters to Mary Hale were full of hard facts of life, and their insightful implications are stirring and stimulating. On 17 September 1896, he analysed human nature to her and indicated the category to which she belonged. He ultimately arrived at a point to show also where he himself stood. He wrote: ‘You, Mary, are like a mettlesome Arab ~ grand, splendid. You will make a splendid queen ~ physically, mentally. You will shine alongside of a dashing, bold, adventurous, heroic husband, but, my dear sister, you will make one of the worst of wives‘. To Mary’s parents, Mr and Mrs George W Hale, the young Swami Vivekananda was a dear son, and to their children an affectionate elder brother. He fondly referred to Mr and Mrs Hale as “Father Pope” and “Mother Church”. His acquaintance with them took place at a desperate moment of his life. Two days before the Parliament of Religions, while ~ by irony of fate ~ he was haplessly sitting on a Chicago street, hungry, weary and desolate, a respectable aristocrat lady from a fashionable house nearby came across to meet him. He was then worried that he had lost the address of the Parliament Office. He was, nonetheless, all the while resigned to God. So, the sudden appearance of Mrs Hale before him was Godsend happenstance. 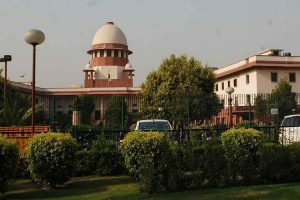 Without mincing words, she asked him straight away, “Sir, are you a delegate to the Parliament of Religions?” Answering her in the affirmative, she immediately took him to her house and arranged for his comfortable stay there till he shifted to another residence officially allotted to him by the Parliament Committee. He was then escorted to the office by the lady. In due course of time, their bonding became so firm that no detractor of the Swamiji could break it, however determined they were. He combined wit, wisdom, honesty, passion and integrity to an unparalleled degree. This inspired a sense of pure affection for him, one that was never diminished or destroyed. 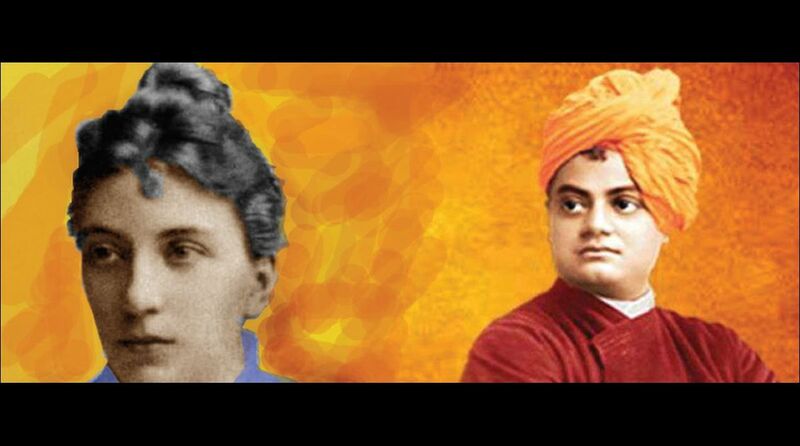 For example, Mr Hale had once received an anonymous letter, warning him abou Vivekananda. Scandalising him, the unidentified person said that Mr Hale should keep his daughters away from the Swamiji, or the net result might prove to be disastrous for him. After a cursory look, Mr Hale simply threw the letter away into the flames of his hearth. The Hales saw him everyday and were convinced of the purity of his heart ~ they realised that he was a man of God. The faith they had reposed in him and the support they eventually offered him were a source of enormous strength to him during his dreary experiences in America. His lifelong connection with them, since the days of Parliament, is a fascinating story. The manner in which he mingled with their daughters is unimaginable for any sannyasin. He had said that any monk who tried to imitate him would be ruined. He was unique and exclusive in this regard ~ as his Master had repeatedly mentioned. He wrote to Mary, giving his impression of them ~ “Mary, it is curious your family, Mother Church and her clergy (Mr Hale), both monastic and secular, made more impression on me than any family I know of. Lord bless you ever and ever.” Interpreting the exceptional intimacy he enjoyed with them, he said to her, as a Hindu says, “I must have belonged to you in the past”. Vivekananda’s letters to Mary were full of hard facts of life, and their insightful implications are stirring and stimulating. On 17 September 1896, he analysed human nature to her and indicated the category to which she belonged. According to him, there “are two sorts of persons” ~ one “strong nerved, quiet, yielding to nature, not given to much imagination, yet good, kind, sweet, etc.” He says this world is for such, and “they alone are born to be happy”. The other are the ones “with high-strung nerves, tremendously imaginative, with intense feeling, always going high one moment and coming down the next.” For them, he says “there is no happiness”. Geniuses are made of these alone, he concludes. On his way back to India, he wrote to her from the ship on 3 January 1897, providing important knowledge of ancient India. Leaving Europe behind, the ship was then about to enter Asia. This evidently lifted his spirit with the prospect of reaching home soon, prodding the memories of the past of his dear motherland. He begins in a light vein, saying: “From Suez begins Asia. Once more Asia. What am I? Asiatic, European, or American? I feel a curious medley of pesonalities in me.” Presumably, here he gives a hint about the Indian ethnicity which is sometimes held to be a source/blend of races. Thus the letter also contains interesting details of ancient Indian art and architecture, in which he referred to Furgusson as he had read in course of his voyage. He apprised her of the fact that in Orissa “there are among the ruins human figures which for beauty and anatomical skill would compare with any production of the Greeks”. He also informed her that “there is a ruined temple in a forest in India which and the Parthenon of Greece, Furgusson considers as the climax of architectural art ~ each of its type ~ the one of conception, the other of conception and detail”.